With a stay at Hotel Torre Azul & Spa - Adults Only, you'll be centrally located in Playa de Palma, a 5-minute drive from El Arenal Beach and 8 minutes from Palma Aquarium. This 4-star hotel is 11.3 mi (18.2 km) from Cathedral of Santa Maria of Palma and 11.6 mi (18.7 km) from Port of Palma de Mallorca. 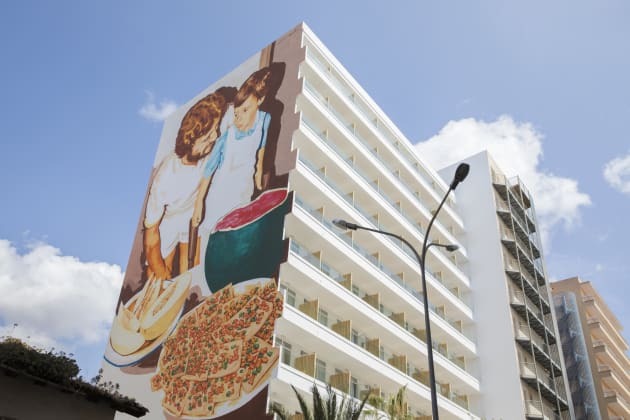 The Hotel HM Dunas Blancas is a modern family-friendly hotel in Playa de Palma, just 50 metres from the beach. In addition to the 5km stretch of golden sand by the hotel, there’s also a tapas bar/cafeteria with a terrace offering sea views, two swimming pools, and several sun terraces. Rooms offer air conditioning, satellite TV, and private bathrooms. 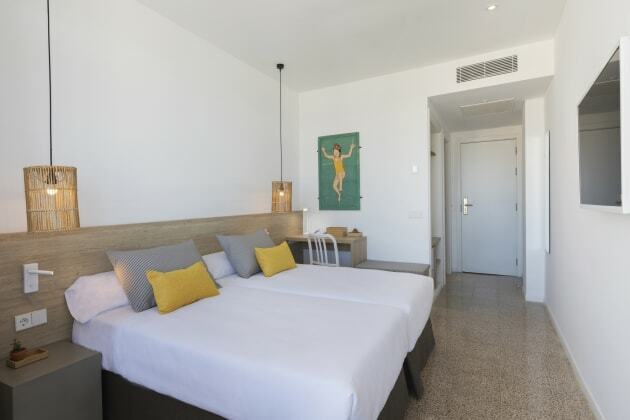 The wonderfully light and airy 4-star Hotel Hispania looks out over Playa de Palma beachfront and is surrounded by a great choice of Majorca’s bars and restaurants. 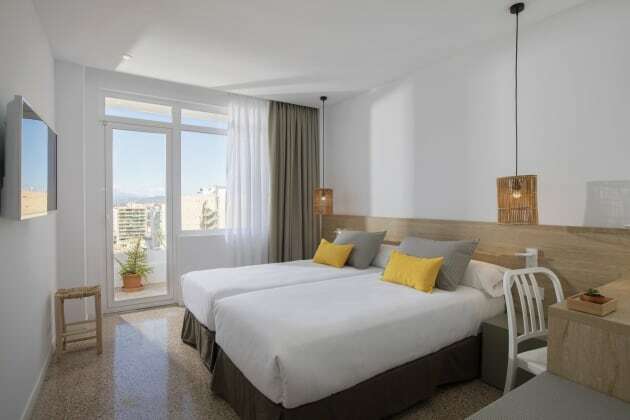 Hotel Hispania’s contemporary design is sleek and sophisticated, and there is free wi-fi available in the clean, comfortable air-conditioned rooms. The on-site restaurant has a lovely outdoor terrace and the pool area is great for families. 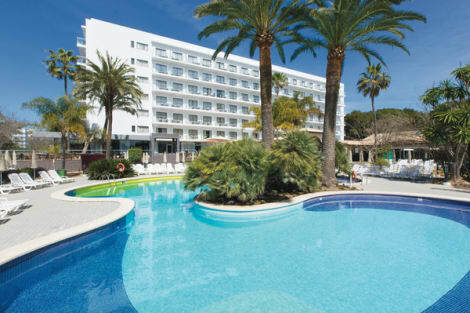 The modern 4-star Riu Bravo is situated just 200 metres from Playa de Palma beach in Palma de Majorca. Its facilities include two outdoor swimming pools, one indoor pool, a gym, a games room, a wellness centre with treatments, a steam bath, a whirlpool bath, and the Olé Spanish restaurant. Rooms feature free wifi, flat-screen satellite TVs, mini-fridges, mini-bars, and private bathrooms. 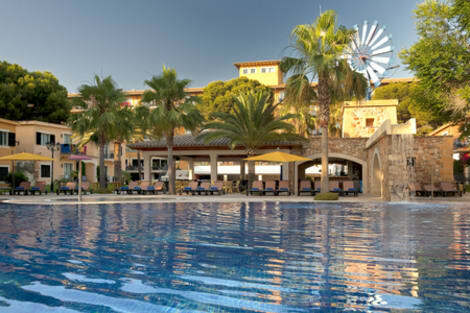 The modern 4-star Occidental Playa de Palma is found in the heart of Playa de Palma, close to El Arenal beach. The Occidental Playa de Palma is home to a cycling centre that’s popular with professionals, as well as a wellness centre with sauna, Turkish bath and heated pool, a buffet restaurant serving local and international cuisines and a lounge bar. Each air-conditioned room is inspired by traditional Mediterranean style and has free wi-fi, satellite TV and a private bathroom.